Q1: What is a credit score? A1: Credit Score is a 3-digit number created by 3 major Bureaus – Experian, Equifax, and Transunion which represents your creditworthiness. The higher the score, the more likely you will repay your debts. Q2: How do you check your credit score and is it free? Q3: How are credit scores calculated? 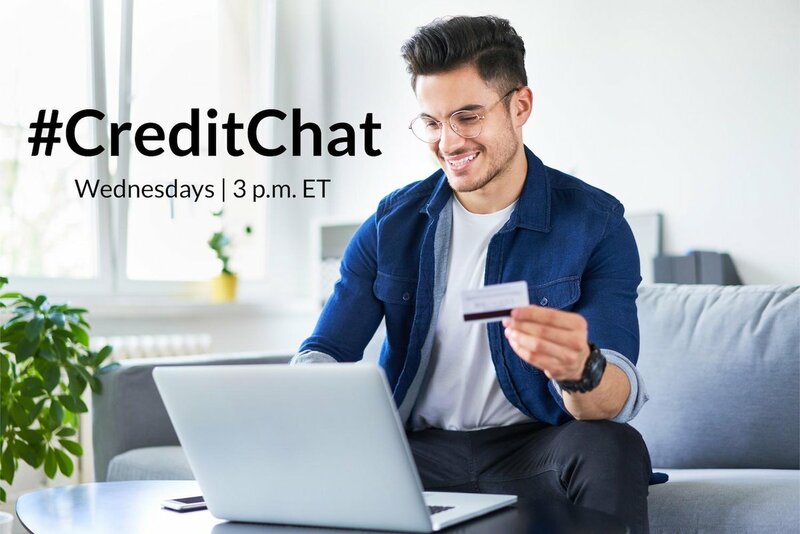 A3: There are 5 factors that account for your credit score – Repayment History accounts for 35% of the score, Credit Utilization – 30%, Credit History – 15%, Mix of Credit – 10%, and Recent Inquiries – 10%. More details here. Q4: How often do credit scores change? A4: Credit Scores can change on a daily basis. They are a reflection of your creditworthiness at a point of time. A missed payment, higher credit utilization or a recent inquiry can have an immediate negative impact on the score. Q5: What is a good credit score? A5: #CreditChat It depends on the kind of debt you are applying for. If you are getting a mortgage, a score over 740 is considered excellent. Fico Scores over 800 are considered exceptional. Q6: What is the recommended total credit utilization rate? Q7: Will you be penalized for shopping around for the best interest rate? A7: A hard inquiry can affect your credit score. It occurs when you authorize a creditor to pull your credit when rate shopping. Depending on the scoring model used, your rate shopping window will range from 14 to 45 days. Shopping for the same kind of debt within this period will only count as one, which will have minimal impact. Q8: Can you get credit for making utility and cell phone payments on time? A8: Utility companies do not report the payments to the credit bureaus. With a new tool called Experian Boost, however, you can have certain utility accounts included in your credit report to help increase your credit score. Experian is also working on a new kind of score called UltraFico. More details here. Q9: Do you need to carry a small balance at all times to improve your credit score? A9: No, you do not need to. However, make sure that you are spending even a little amount on your credit cards every few months so that they do not become inactive or worse get canceled by the creditor. You will lose points in that case. Q10: Any final tips on improving credit scores? A10: Understand the 5 factors that impact your credit scores and play them to your advantage. Do not miss payments, keep your credit utilization rate to a single digit, minimize hard inquiries, have a mix of debts (Revolving/Instalment), and stay patient as all of this get factored into your score.